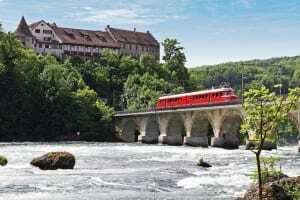 As a highly connected country, Switzerland has a dense train system to serve your congress logistics. Swiss Travel System specifically caters to corporate events, so you can get around without sacrificing work time. The impeccable punctuality ensures that your group will get to those important meetings and events on time. Should your guests want to focus on a celebration instead of a business meeting, the charter trains can accommodate that, too. All you have to do is make a reservation and you will be booked for luxury and comfort.